In this new instalment of the Rocky franchise, much much bigger than its predecessor Creed, Adonis (Jordan), son of heavyweight boxing champion Apollo, as new heavyweight champion of the world now faces the challenge of his life. Despite cornerman Rocky’s (Stallone) disapproval Adonis is preparing to battle the son of Ivan Drago (Dolph Lundgren) the Russian boxer who killed his father in the ring more than 30 years earlier. The film opens with Adonis delivering the punch that gives him the title, the adrenaline of the win prompts him to pop the question to girlfriend Bianca (Thompson) who says yes not long after that she discovers she is pregnant, but that is not all Adonis has to contend with as he is soon to face Ivan’s son Viktor Drago (Florian Munteanu). 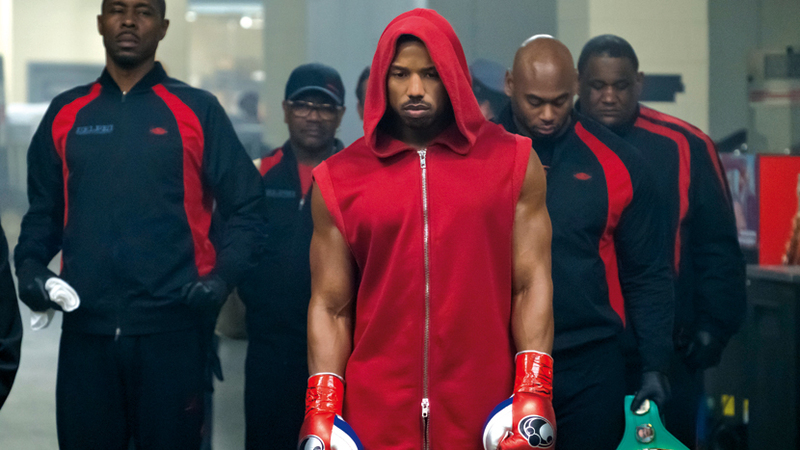 Creed II is directed by newbie Steven Caple (Coogler opted out), Caple manages like Coogler to anchor the story around the lives of the characters gluing the narrative together and make for a little tenderness as relationships between Rocky and Adonis are stretched and the relationship between Ivan and Viktor reveal Ivan as a man battling to regain pride and status through his son and Adonis waits to find out whether his daughter might inherit deafness from Bianca. We know Bianca is a singer but she appears to serve as an extension to Adonis helping him battle his demons and provide a black love story, but it is his story, in parallel it would have been good to know more of Viktor. The iconic “break him” line is back several times with parts of the movie relying on the past, you can see elements of Rocky II and Rocky IV. There are strong performances from Michael B. Jordan, Tessa Thompson, and Sylvester Stallone. Diehard fans of the franchise would know this story as it has been told before but it is an enjoyable watch on the big screen. For Caple Jr this is his first jump into the ring of studio filmmaking and he manages to deliver a few punches.